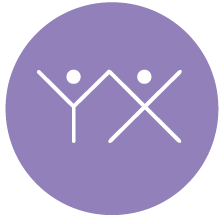 Yoga Xtend provides all-ability and specialist yoga classes to the communities of Greenhithe, Dartford & Gravesend. Choose your level and focus to find the perfect class for you. Since doing yoga with Tammy, I have ditched the painkillers and have no knee, hip, foot or back pains. By far the best yoga teacher I have come across. Before attending classes, my anxiety and stress levels were overwhelming and through yoga I have regained balance in my life. - Thursday night is now the highlight of my week! My little girl has been attending yoga since she was 3 and loves it. What Tammy offers is unique in the area, she is so good at engaging the children and keeping the class fun yet controlled.